What a month we are having! First it was HOT. Really hot. Then it started raining and just kept on raining. The good news is that I have never seen the ground so saturated and ready for plants in August as it is now. The challenge is that all the rain has brought us fungus and aphids and slugs.. What’s a gardener to do? Put on your rubber gloves, clean out the spotted leaves and discard them. 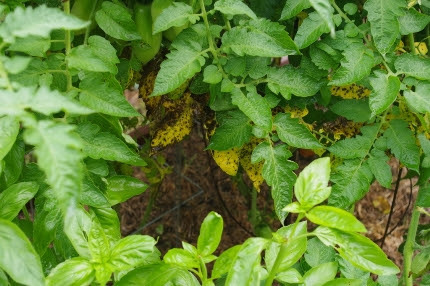 Then spray your tomato plants with copper to kill fungus spores. tomatoes have Septoria leaf spot. I removed all affected leaves, sprayed them with Monterey Complete Disease Control, and they were fine for awhile but now the spots are back. 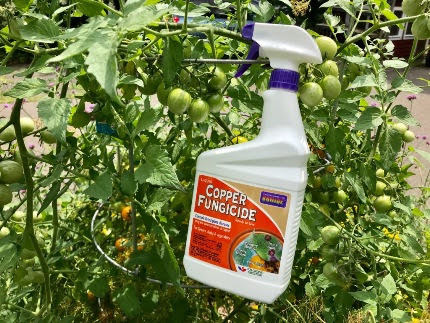 It’s time to spray with copper, which kills fungus spores after you have cleaned the plants up. It is important to repeat this spraying, especially if the weather continues to be so extreme. Second, FEED. All this rain leaches out the nitrogen. I am watching my staff walking around with bags of Healthy Grow organic granular fertilizer and adding it right to our potted plants. Diane said “Let’s put all the Healthy Grow fertilizer on sale at 25% off to encourage people to feed their plants.” So we are doing that! New this week, we have Coreopsis tripteris ‘Gold Standard’, a wonderful six foot upright species that doesn’t need staking. It is the highlight of my own garden right now, blooming along side a gorgeous white tree hydrangea. Third, expect to see aphids on your plants. They thrive when the sun comes out after a rainy spell. We were watching ladybug larvae feasting on the aphids on our milkweed plants this morning. We still have live ladybugs that you can release wherever you see aphids. We NEVER spray the Asclepias with anything, not even an organic spray, as it will kill the monarch caterpillars. Fresh color! 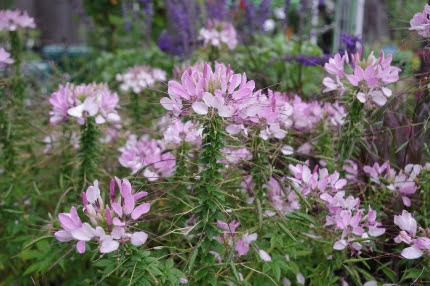 Pretty pink Cleome plants will perk up your soggy garden. Fourth, keep on planting! 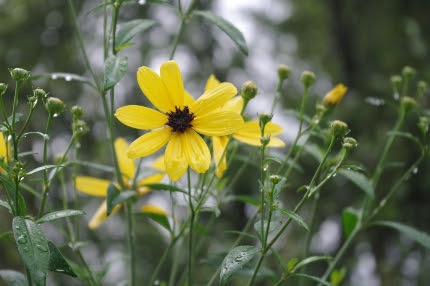 Take advantage of this gift of deep, soaking rain and put in some new perennials, a tree hydrangea, a new butterfly bush. 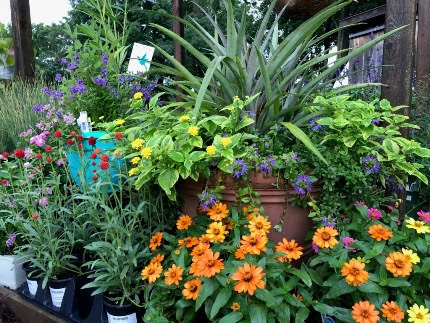 Refresh your garden and container plantings with some colorful annuals- we have plenty of fresh color in stock. Look at all this fresh color! Have you fed your flowers lately? 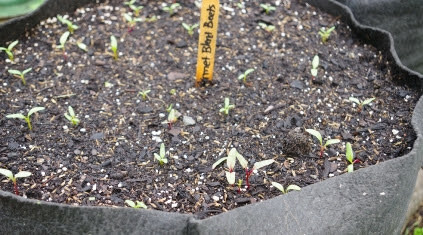 Beet seeds popped right up in my Smart Pot that I replanted after harvesting red fingerling potatoes. Keep on planting for fall crops. are up and very happy as well. August is prime time to start seeding in your fall crops. Besides root crops like carrots and beets, plant seeds of lettuces, kale, arugula, and escarole. There really couldn’t be a more perfect time to do this, for that we have to thank Mother Nature. 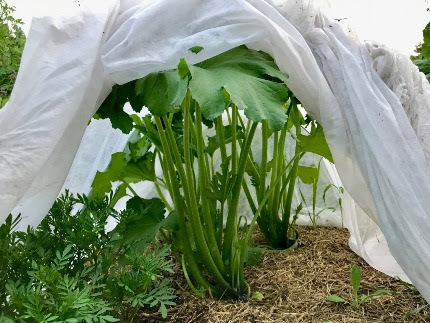 If you plant kale or beets, be sure to cover them with floating row covers to prevent leaf miners and all sorts of caterpillars from destroying your foliage. Yes, our seed racks are well stocked with the organic seeds you need. Now is also the time to plant cover crop seed and we just got in winter rye and oats. Cover crops are also called “green manure” plants. They are fast growing and are meant to inhibit weeds seed germination. They are then cut down and the foliage is added back to the garden, feeding the life in the soil. Consider cover crop seeds between existing veggies as well. Oats will winter kill with the frost, leaving a covering of oat straw in your beds for the winter. monarch butterflies. I finally figured out how to see the monarch eggs and collected 75 eggs in one morning! 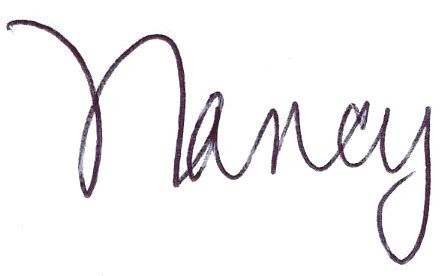 It has become a passion for so many of us. This means we need lots and lots of Asclepias to feed the hungry caterpillars. And we’ve got it! In fact, we just got in a NEW variety of milkweed, Asclepias exaltata, called poke milkweed. 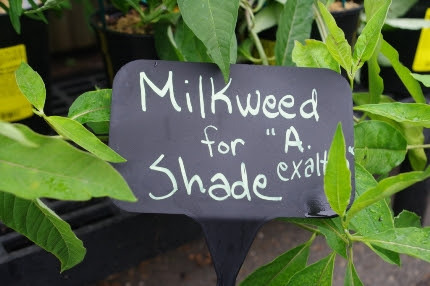 It does well in quite a bit of shade which is something that many folks are looking for. I think we have started a movement here in CT. So many folks are emailing and posting on Facebook how many monarchs that have raised already. We love teaching others to do this so we can all be a part of the solution. I am SO excited that this Saturday we are having our second Grow Organic Kids’ Day at Natureworks. Monarch lady Diane will have a great display set up to teach everyone the butterfly life cycle and we will probably have butterflies to release. I will be taking the kids out to the gardens to hunt for bugs and flowers. We will have rock painting and other activities. Calling all grandparents, this is the ideal way to introduce your grandchildren to gardening. We know you wonder about the weather (the last 2 Saturdays have been raining) so we will accept registrations right up till Saturdaymorning. Details about Grow Organic Kids Day and registration information can be found below. Tune in this Thursday at 5 for Facebook Live. 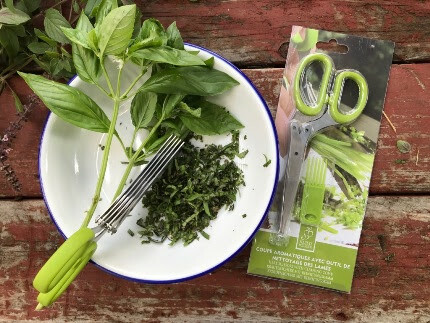 We will be showing you a fun way to harvest and use fresh herbs AND will be featuring some great August perennials to brighten up your garden this week. 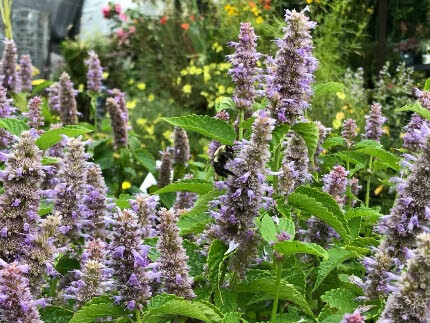 New this week, we have 1 quart size, gorgeous Agastache ‘Blue Fortune’ (anise hyssop) in stock. The flowers are edible, the leaves make a great iced tea, and the pollinators adore it. 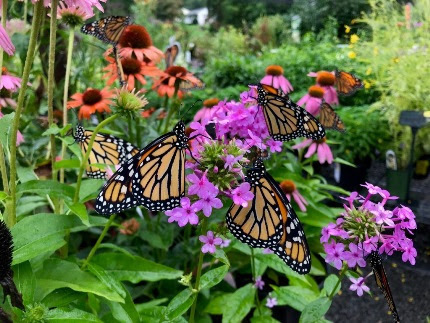 New plants, sales on hummingbird nectar, Healthy Grow fertilizers, butterfly bushes and Echinaceas PLUS an awesome sale on the front lawn on past-bloom perennials. A fully stocked seed rack for fall, a garden filled with butterflies and pollinators- we have everything you need to get the most out of your August garden. Dear Mother Nature…play all the games you want with our weather, we are New Englanders, we’ve got this! 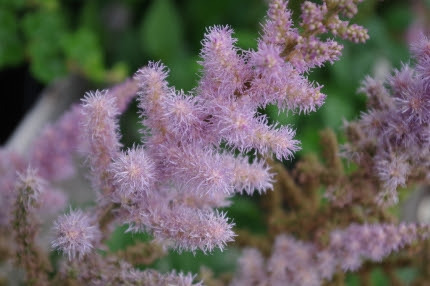 New this week is Astilbe chinensis ‘Pumila’, a fabulous ground cover that blooms in August and grows in sun or shade. 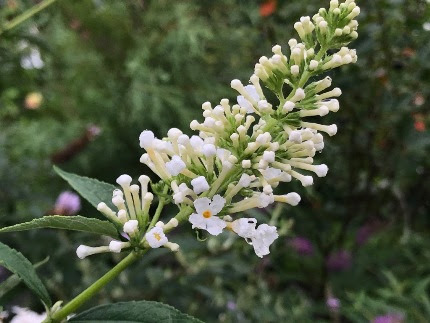 Butterfly bushes are on sale for the next two weeks! Sidewalk Sale on past-bloom plants continues on the front lawn. New plants added all the time.